Cristina joined the Stanton Chase Bogotá office in 2014. Her experience sums up more than 20 years in Human Resources areas, leading the Talent Management process. 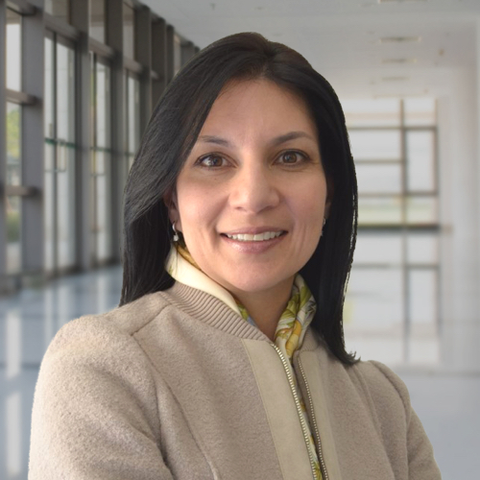 Cristina has held different roles in Human Capital, most recently at Citibank Colombia, as a Recruiting and Development Manager for the Corporate and Retail Bank. She has also worked as a senior consultant at HayGroup and Navation INC., developing Talent Management Strategies for local and multinational clients in different sectors as Financial Institutions, Oil, and Gas, Consumer goods, Telecommunications, and Government. Her experience has focused on Leadership Development and Talent Management process, aiming to help the organizations accomplish long-term objectives aligning Human Resources practices to the business. Cristina is the Industry leader for the Financial Institution and Services Sector in Stanton Chase Bogotá and is a member of the Global Executive Assessment Practice. Cristina is a Psychologist from Universidad de los Andes with an emphasis in Organizational Psychology from the University of London.